And all the babies are shaking down in the ground, they're living just to dance. 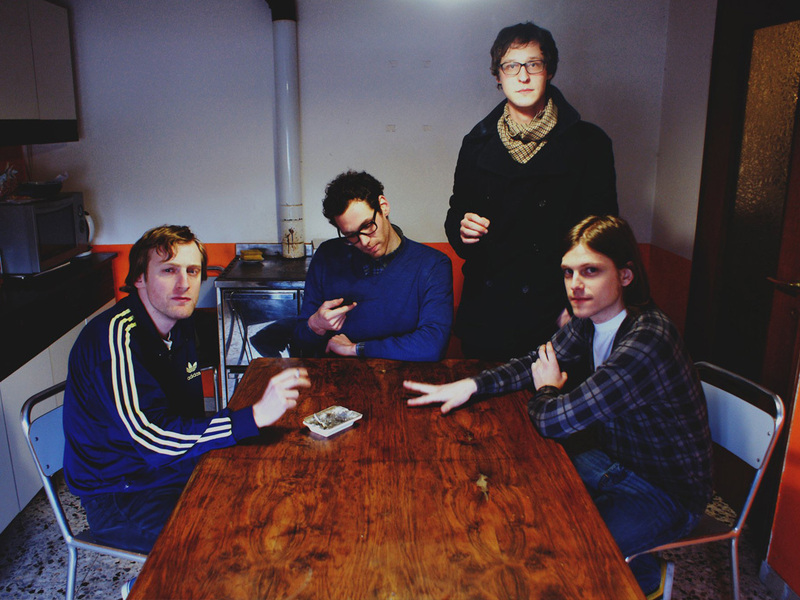 SuperTempo are and indie/garage rock band from Venice, Italy, who have been playing together since 2010. The band includes Marco Fabris (drums), Federico Mellinato (guitar, vox, bass), and Stefano Michieletto (bass, vox, guitar). The band’s first EP, entitled SuperTempo Goes Prestissimo, was released in 2011. This was followed by the release of the Denim Boy EP in 2012, which brought SuperTempo to the attention of the Italian indie music press. In the Spring of 2012 they recorded their first full-length album, Brother Sun, Sister Moon. It was released on the 15th of October in 2012 for Go Down Records. The album includes fourteen tracks, all based on classic, rapid-fire (many of the tracks are under two minutes in length) garage punk/power pop sounds, but with unexpected melodies. Likewise, SuperTempo are known for their vigorous, speedy live shows. They have played in many clubs and at a number of festivals, sharing the stage with the likes of The View, Grass Widow, C. Gibbs & Lucinda Black Bear, Sonny and the Sunsets, and Death by Unga Bunga and the Mojomatics. As the band’s sound has evolved into something punchier and explosive, their gigs are known for becoming more crowded and rowdy. Says SuperTempo: "What we want to do is play very fast, connecting the urgency of punk to the immediacy of pop music, getting our passion for vintage music and sound into a modern perspective. The shortness of our songs is a metaphor of modern times: frantic, confused, disinterested. We want to turn confusion into energy: it's a competition, past is very fast."